This documentation covers some additional features. They are not required, but they may be very helpful. 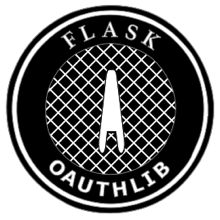 Bindings are objects you can use to configure flask-oauthlib for use with various data stores. They allow you to define the required getters and setters for each data store with little effort. bind_sqlalchemy() sets up getters and setters for storing the user, client, token and grant with SQLAlchemy, with some sane defaults. To use this class you’ll need to create a SQLAlchemy model for each object. You can find examples of how to setup your SQLAlchemy models here: ref: oauth2 . You’ll also need to provide another function which returns the currently logged-in user. current_user is only used with the Grant bindings, therefore if you are going to register your own grant getter and setter you don’t need to provide that function. Since the life of a Grant token is very short (usually about 100 seconds), storing it in a relational database is inefficient. The bind_cache_grant() allows you to more efficiently cache the grant token using Memcache, Redis, or some other caching system. The configuration options are described below. The bind_cache_grant() will use the configuration options from Flask-Cache if they are set, else it will set them to the following defaults. Any configuration specific to bind_cache_grant() will take precedence over any Flask-Cache configuration that has been set.